We bought a Groupon for RT ferry tickets to Catalina Island via the Catalina Flyer earlier this year. 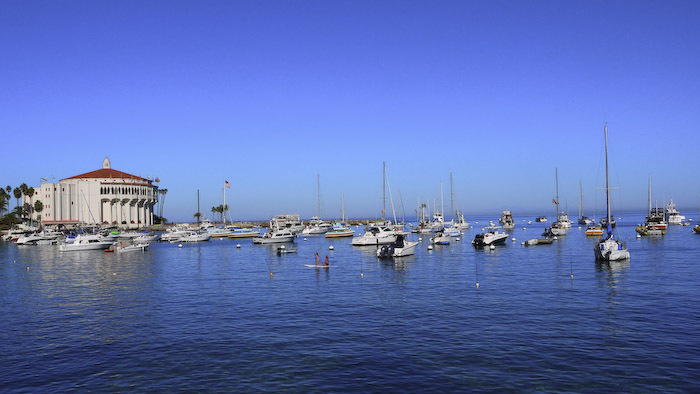 Louis and I have been wanting to go back to Catalina since our backpacking trip there last year. 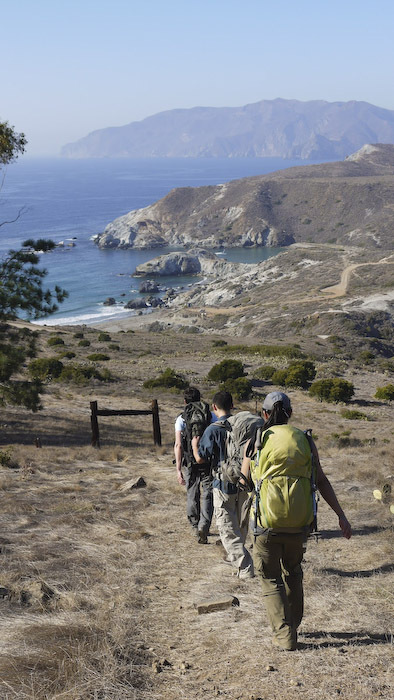 The Trans Catalina trail from Avalon to Two Harbors is approximately 20+ miles and we were only able to finish the stretch from Avalon to Black Jack campground near the airport. 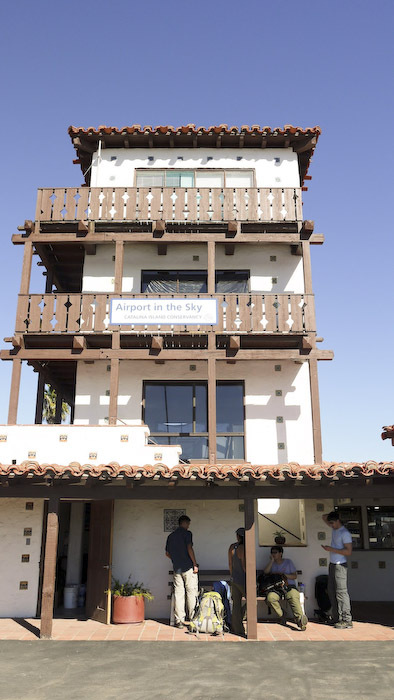 Since we only had a weekend this time around, we decided to skip the portion we hiked last year and took a bus from Avalon to the airport via the Catalina Airport shuttle. 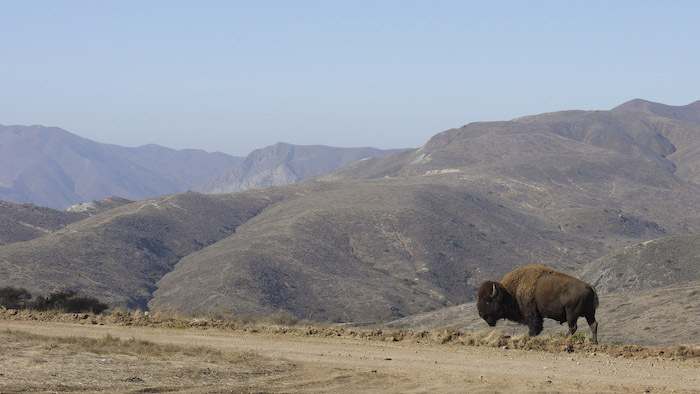 Traveling around Catalina was not cheap, the round trip tickets from Avalon to the airport was $26 per person. The airport shuttle runs every two hours starting from 9AM. We caught the 1PM shuttle on Saturday and was dropped off at the airport at around 1:30. Eyeing the Buffalo burger inside the airport restaurant, we all made a mental note to come back the next day for lunch before we left the island. We found a shortcut going into Little Harbor. Our four star campground. Camping fees here was $16 per night per person. We were shocked at how expensive it was until we got to the campsite. 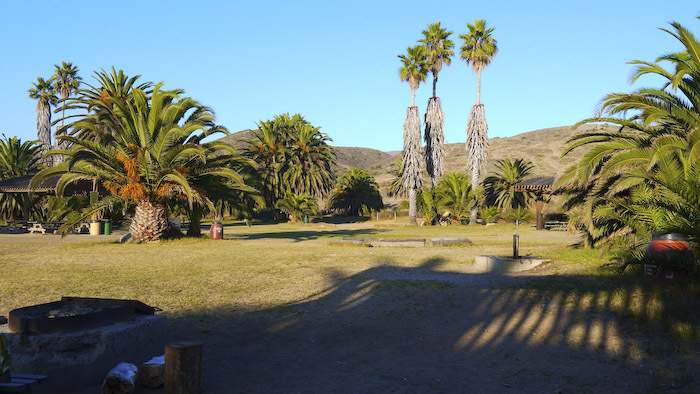 This savvy campground has well established fire pits, walking distance to the beach, palm trees, picnic tables and porta potties. The rangers even deliver wood to your campground for $9 a bundle!! The best part was, because it was “winter” the campground was almost empty, we literally had the entire beach to ourselves. Beautiful Little Harbor, courtesy of Edwin’s panoramic app on his phone. 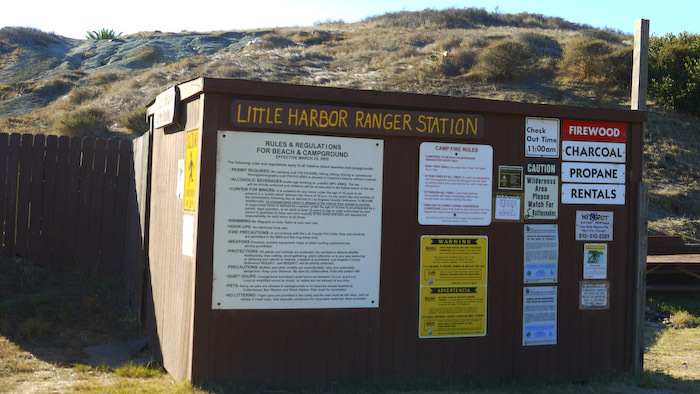 Little Harbor ranger station, closed for the winter. This entry was posted in Trail Reports by hikenoworklater. Bookmark the permalink.